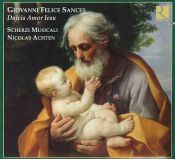 For this recording Scherzi Musicali have made an imaginative and varied choice of pieces from the first motet book. Ornamentation has been added convincingly and the ensemble is underpinned by a lavish continuo grouping of a kind that would have been available in some of the larger 17th century Italian urban churches. All in all this is a fine piece of advocacy for some surprisingly effective music by a little-known minor master.